Rafael Nadal continued his resurgence as he defeated world number two Andy Murray in straight sets to secure a semi-final berth at the ATP World Tour Finals on Wednesday. The 14-time Grand Slam champion overcame a wayward Murray 6-4, 6-1 to lead 2-0 in Ilie Nastase Group at the O2 Arena, Sport24 reported. 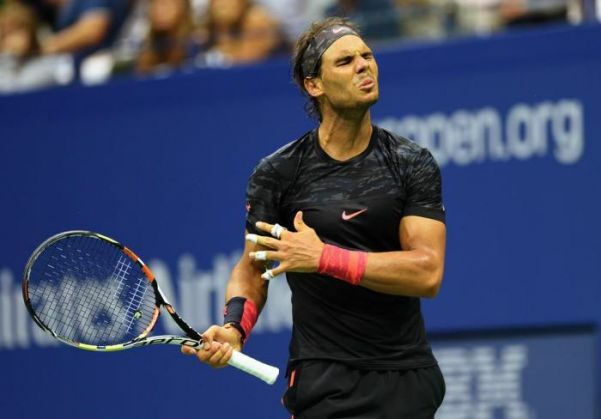 Nadal, who climbed back to fifth in the rankings after falling to a miserable 10th earlier this year, has improved significantly since a disappointing defeat in the US Open third round. Meanwhile, French Open champion Stan Wawrinka produced a resilient performance to trounce David Ferrer in his second round-robin contest at the ATP World Tour Finals. Wawrinka, the world number four, recovered from 5-2 down in the opening set to claim a 7-5, 6-2 win over Spain's Ferrer, the Guardian reported. Wawrinka will next face world number two Andy Murray in a must win contest to qualify for the last four in second place.